One of the solo cookies—Atlanta Motor Speedway—was on the schedule last week. 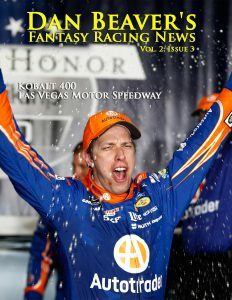 The paucity of data from the single race in Nevada is offset somewhat by the juxtaposition of the Kobalt 400 with the Folds of Honor QuikTrip 500. Drivers can gain some momentum at this stage of the schedule. In a couple of weeks, they will visit the two-mile Auto Club Speedway. A couple of weeks after that, they will be on another “cookie-cutter” course: Texas Motor Speedway. Four of the first seven races of the season are on similarly-configured, 1.5- and two-mile tracks. Last year, six drivers who scored top-10s at Atlanta, backed that up with another top-10 at Vegas. Jimmie Johnson and Kyle Busch led the charge in 2016 with a pair of top-fives. Joey Logano, Austin Dillon, and Ricky Stenhouse Jr. came close to adding their name to the top-10 sweepers with a worst result of 12th in the two races. Several of those drivers ran well again last week. Notably, Johnson and Busch did not and it will be interesting to see if the dark horses who stepped into their place in the QuikTrip 500 can also unseat them in this week’s contest. The “cookie-cutter” promotors hate that description of their tracks. And to be fair, no two courses are alike. From their point of view, they have a right to bristle. Fantasy players have a different outlook and should find cookies quite tasty. This has been a challenging week. 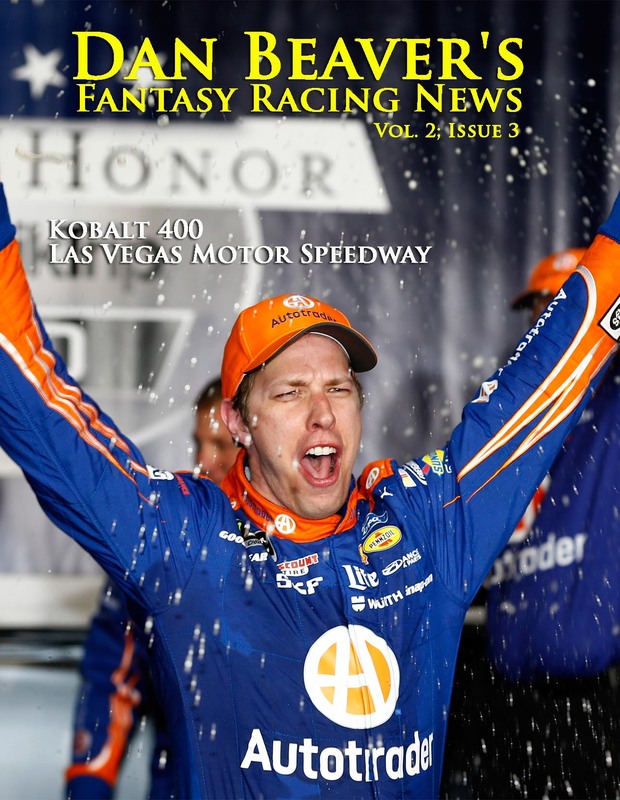 Those of you who follow me on Twitter, @FantasyRace know why the Las Vegas Motor Speedway preview did not get uploaded until Thursday morning, but we are well on our way to getting these to you my Wednesday mornings. Las Vegas has always been a tricky track to handicap. With progressive banking, it is unique to the other similarly-configured, 1.5-mile tracks, but there is enough data from the other so-called “cookie-cutter” tracks to make some informed guesses. We are also incredibly close to getting the login module completed so you can download these at your leisure (it may even be done this afternoon). When that is in place, we will generate an email telling you the preview is live with a link to the download. For now, complete the subscription process and we will email it to you. $19.95 gets you a full year; or buy this week’s issue for $1.16.